“Unto us a writer is born, and her name shall be called Shamiso.” Shamiso Patience Mbiriri was born in January 1992 and is the second born in a family of four girls. She has always been bright and found herself in formal school (Grade One) at the age of 4 years 11 months after her preschool could no longer contain her. She did both her primary and high school education at Nyazura Adventist High School. She had a stint at Nyahuni Adventist High School before doing her ‘A’ level at Nyazura. “Shami” as she is fondly called by her peers, proceeded to Solusi University where she is pursuing a degree in Computer and Management Information Systems. At the time of publishing her first book, she is doing her final year. She is a passionate writer and eager to learn new things. Music is her first love right from drafting the lyrics, listening to it and singing. When she told her father that she was writing a book, her father had no doubt that it was going to be a thriller. He knew that it was time for her to share her thoughts and views of life with others instead of containing them within her. Shamiso Patience Mbiriri has written a book entitled “Not how but Who”, an inspired message which is interwoven with the word of God. 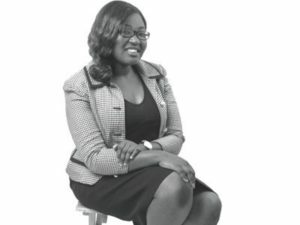 By sharing her experiences and how her life has been centered on her faith in Christ, Shamiso Mbiriri brings her readers to the realization that the Christian faith is not an abstract thing but a reality that can be enjoyed as we prepare ourselves for the second coming of Christ.